The Belgravia lettings market burst into action this summer. Steve Cook, Head of Lettings & Management at Henry & James, writes about a record number of tenants and the return of sealed bids. We expect our lettings department to be busy during the summer months, in the build up to new academic year. It always is. September was the best month for lettings in our 68-year history, with a record number of tenants, in Belgravia, Knightsbridge and Chelsea, moving into their new homes during the month. Our lettings team hardly had time to draw breath. In fact, such has been the demand for rental properties that sealed bids, once comparatively rare, have returned with a vengeance. 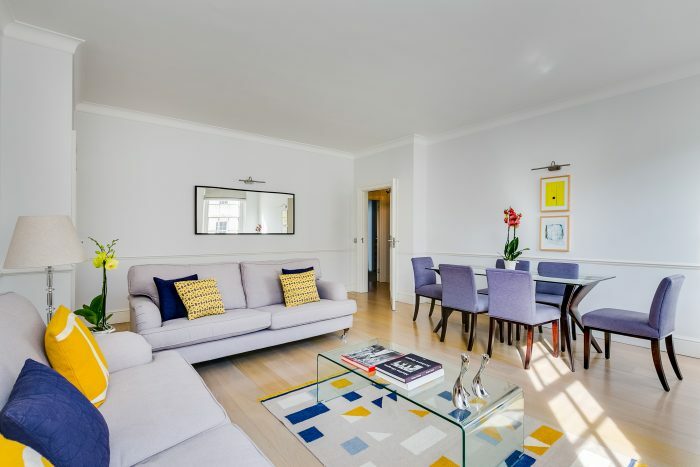 There were offers from four different tenants on one property in Kinnerton Street, SW1. People are not hanging about, they often discover the properties online and want to view their potential new homes as soon as possible. Tenants are relocating to London from Europe, Asia and the Middle East, and they are relocating in large numbers, some to set up businesses in the capital, others to study here. September premiums are par for the course and continue as Belgravia/Knightsbridge properties under £1,000 per week are in short supply. Two-bedroom apartments, with en-suite and guest bathrooms were particularly in demand, and the streets around Sloane Square, in-particular Sloane Gardens, with its red-brick buildings and 30 second sprint to the tube are more popular than ever. People living here expect first-class amenities and in London, there are no shortage of these. Great shops, theatres and art galleries, fabulous restaurants, world-class universities… Like magnets they continue to draw people in from all over the world. It is a beautiful city to live in, as well as an attractive one for investors. What is driving this unprecedented demand? There are a number of factors, but the one that stands out is Brexit. The 2016 vote, and our impending departure from the EU has simply had zero impact on the lettings market. If anything, it has spurred more people to move to the capital, so that they can be ready to take advantages of fresh opportunities in post-Brexit Britain. Many investors and entrepreneurs are thinking beyond the immediate impact and are sniffing out openings where others might see doom and gloom. Henry & James has remained positive throughout the negotiations. Now our positivity is paying off with strong growth in the lettings market, with a bold combination of new and existing tenants. In short, with a record-breaking September behind us, and demand remaining very strong at the start of October, we are more confident than ever in the robustness and adaptability of Prime Central London. Henry & James is Belgravia and Knightsbridge’s premier estate agent for residential sales and lettings (henryandjames.co.uk). Contact Henry & James for a free valuation on your property. Telephone: 020 7235 8861 or email: lettings@henryandjames.co.uk.